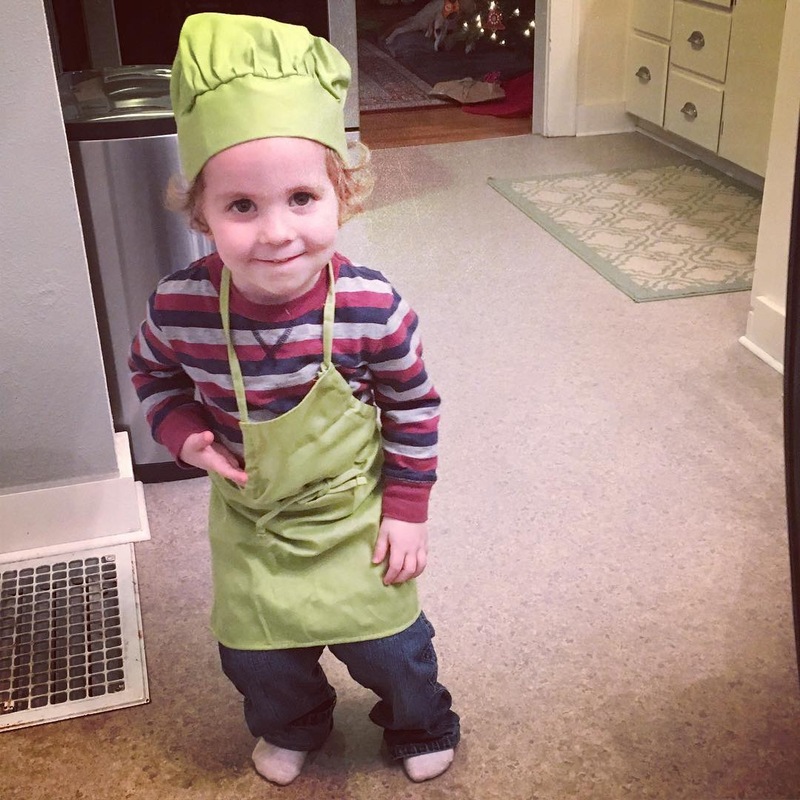 My early gift to littlest nephew: chef hat and apron. He does love to cook. We play in his toy kitchen for hours.